The Wooden Handle Claymore Dagger would have been one of William Wallace’s favorite weapons and if you are a collector of Scottish weaponry, you need to have this now. 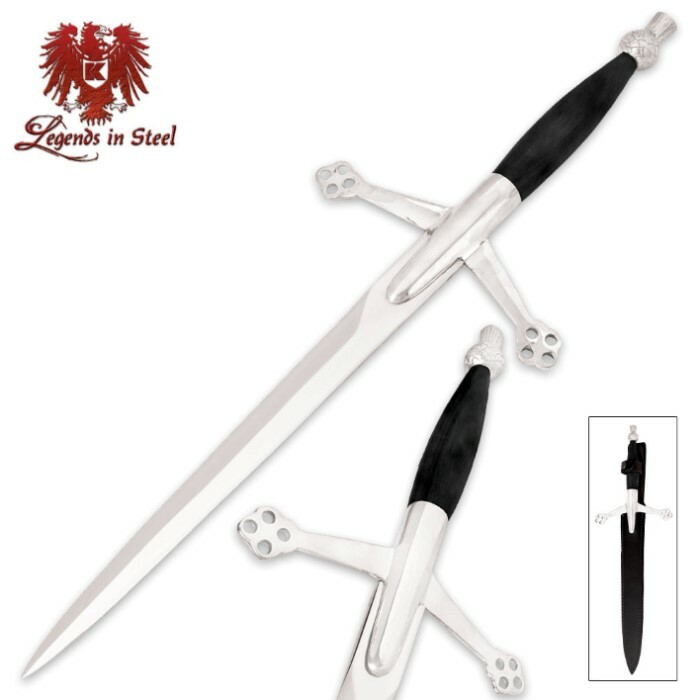 It has an 11" hand-polished, high carbon steel blade supported by the signature Claymore-style wooden handle with brass pommel. 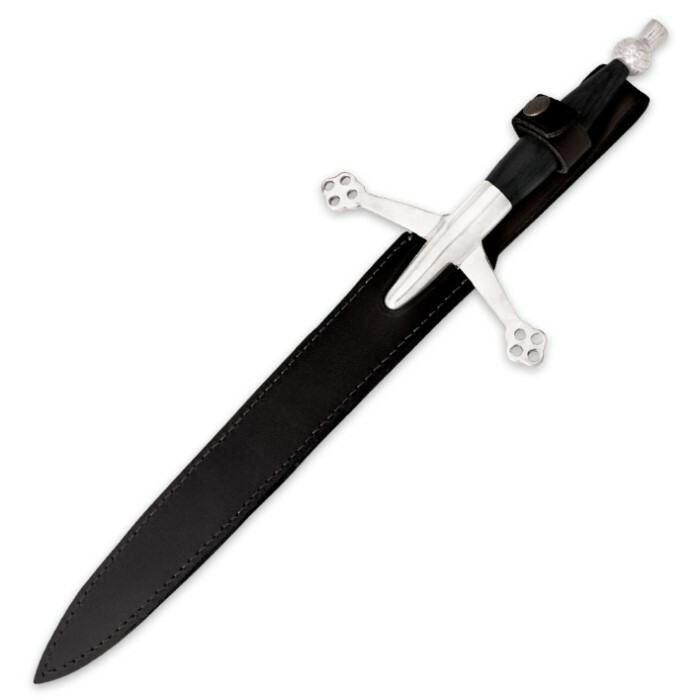 The blade slips in to a leather sheath.